You don’t need much of an imagination to envision it. When trucks follow too closely, there’s a real chance of an accident. And, unfortunately, one that results in catastrophic injuries. It’s a nightmare that no one wants to think about. Just about a decade ago, the Federal Motor Carrier Safety Administration conducted a study regarding causation in large truck crashes. It found that five percent of serious truck crashes occurred when the trucker was following too closely. The report also found that keeping unsafe distances was a decision that could prove deadly. What is Following Too Closely? It might seem that the definition of following too closely is somewhat self-evident. You may even have a picture in your head of a truck that appeared to be riding your bumper. However, commercial motor vehicle drivers have special training when it comes to keeping a proper distance. The Texas Department of Public Safety publishes a handbook for drivers of commercial vehicles. It provides valuable information regarding the space truckers need to keep ahead. First and foremost, is a consideration for the length of the vehicle. That’s not to say that the time estimation works in all cases. When the weather is bad, most rig operators know they should double their distance. 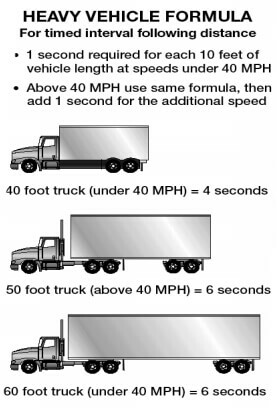 Of course, speed is often a factor in accidents where trucks are following too closely. The rush to get the load to its destination on time can present real problems. 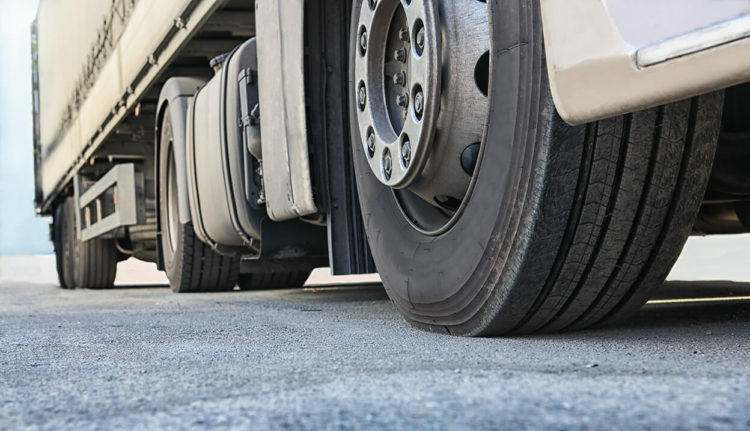 The U.S. Department of Transportation National Highway Traffic Safety Administration provides some startling information concerning large truck accidents. It evaluated the difference in average stopping distances between a loaded tractor-trailer and a passenger car, both traveling at 55 mph. The truck would need 196 feet, as opposed to the car stopping within 133 feet. There’s no question that not maintaining a proper distance can lead to serious issues. Unfortunately, traffic congestion and sudden stops are an invitation for disaster. Truck accidents caused by following too closely are among the worst motor vehicle crashes. Having an accident with a large rig brings physics into the equation. For one, even trucks not carrying loads weigh more than passenger cars. When they slam into other vehicles, the heaviness adds to their strength. Heftier weight is not the only problem. Eighteen-wheelers are taller than most other motor vehicles. Their brakes work differently. And, of course, cargo can be a factor. For example, imagine the frightening experience of being rear-ended by a fuel truck. For the driver in front a truck following too closely, it is best to change lanes. However, avoiding the situation is not always possible. The big rig operator and occupants of other vehicles may all find themselves badly injured in this type of accident. Were you involved in a truck accident? The de Lachica Law Firm can help provide you with legal advice and guide you through the claim process. Contact our office to get immediate assistance.